signing up to this website is pretty much the same as it is with most other dating websites. Plenty Of Fish does take keeping obscene or offensive content on their site very seriously. No revealing photos are allowed and overly explicit set of descriptions are also not tolerated on site. This is not to sign for someone looking for a one night stand or no strings attached fun. Besides your self description, you have the option to write up what your idea of a perfect first date would be on your profile page and this is a good little extra that might make it easier for you to relate to other members on the site. Free members can upload up to eight photos, paid members can upload up to 16 photos and as with all other dating sites, you should make an effort to present your self in the best way possible. 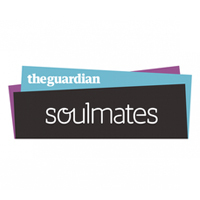 The site also offers a personality and chemistry test. These two tests are long, comprehensive and they come with detailed reports that point out your character traits. Your chemistry test results are used for matching you up with other members on the site according to your emotional needs. There is also a test for relationship needs which will show you what you are like in a relationship now and how you could improve your next relationship. The search results you will get on plenty of fish are not really well presented, this is something that could be much improved. There is however, a variety of search options you can select with a lot of different criteria you can choose from while searching but the results you will probably get back will not be presented well and you won’t have the best overview. We just ended up with a long list of names and little photos and our search results and for us to find out more about the member, we had to click on the profile. This is a feature which is similar to what can be found on other dating sites. You are shown a picture of a match and you have the options of yes, no, and maybe if you would be interested in dating the member. If you click yes on the member and that member also clicks yes on you, your profiles are sent to each other. All of this is pretty much based on looking at a photo. You have two options when it comes to contacting a member you’re interested in on this site. You could send a flirt, which is about the same as a week or an icebreaker or you can send a message. There are lot of filtered you can set for the e-mails you receive which will help ensure you will only be contacted by a specific set of people you’re most interested in. You do have the option to upgrade your free account on plenty of fish, which will give you some extras. We believe the extras you get from upgrading are not really all that essential though. The best thing we got from our upgrade was being able to use the site free of ads. Plenty of fish is definitely a popular dating site and it is also one of the biggest free dating sites online but our opinion is that it is not one of the better ones. 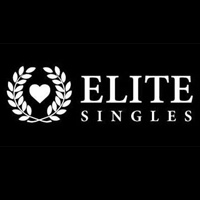 There is not much there to make it special or stand out and even though most of the right things are in the right places on the site, the blandness is what keeps it from being a really great dating site. The Bad: The site is bland and without character plus the design is not that great.